You can contribute directly to one of Vital Ground’s active habitat conservation projects by purchasing protected land acre by acre. 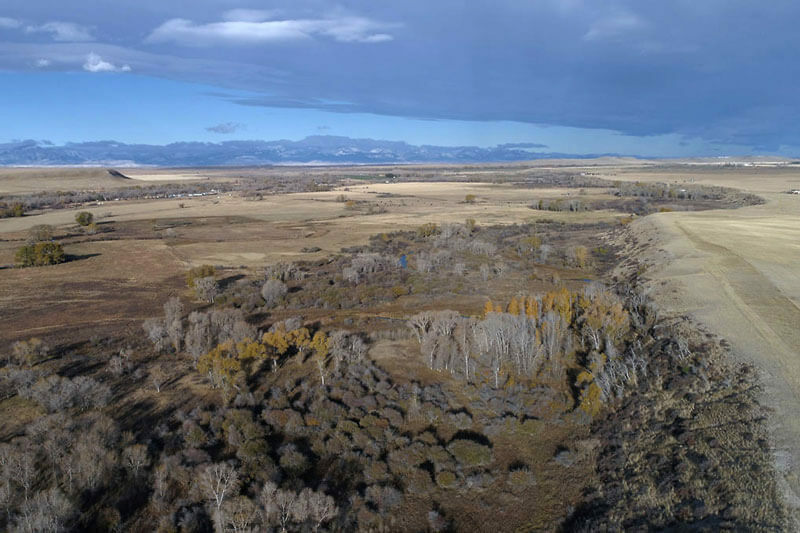 Glen Willow – Vital Ground will protect a 640-acre ranch on Montana’s Rocky Mountain Front by purchasing a conservation easement. Learn more about how this project reduces grizzly bear conflicts here. 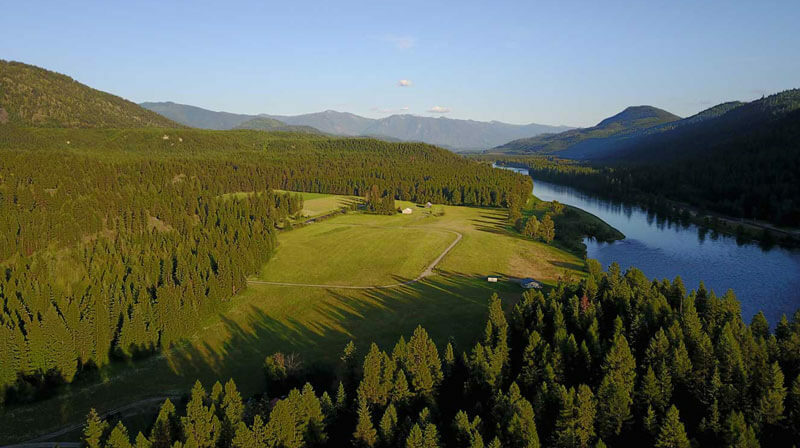 Overhead drone footage shows Glen Willow Ranch set against the backdrop of Montana’s Rocky Mountain Front Range. Photo by Herrera. Contribute to one of Vital Ground's active habitat conservation projects by purchasing protected land acre by acre. Email me with updates on Vital Ground's work, and let me know other ways I can help protect grizzly habitat. Any amount helps. Enter a custom amount. Select if you would like to checkout using PayPal or enter your credit card on our secure site. You do not have to have a PayPal account to checkout via PayPal. Wild River – Vital Ground will purchase 42.6 acres of crucial linkage habitat that will connect two isolated populations of grizzly bears in the Cabinet and Purcell mountains. Learn more about how this project restores habitat connectivity in northwest Montana here. Purchasing Wild River Estates ensures this wildlife-rich area along northwest Montana’s Kootenai River will never be commercially or residentially developed and will connect relatively unfragmented grizzly habitat in Canada to land in the Cabinet-Yaak Grizzly Bear Recovery Area — a 2,600 square-mile area occupied by less than 50 grizzlies south of Canada.. Photo by Y2/Gem Vision Productions.